As ported lines in Peru hit a new 4 year high, our latest crowdsourced results from September show which operators are performing best for network experience, with Entel taking the lead for most metrics and Bitel demonstrating the best network stability across the country. 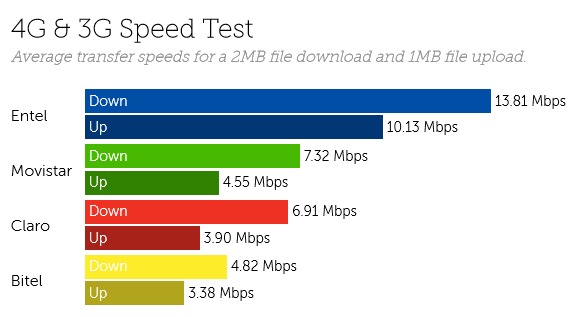 Entel lead download speeds across Peru with average 3G and 4G speeds of 13.81 Mbps from September. Movistar place second with 7.32 Mbps closely followed by Claro at 6.91 Mbps and Bitel with average download speeds of 4.82 Mbps. Our split 3G and 4G results follow a similar pattern, except for in Lima and Callao where Movistar drop to fourth place and Claro and Bitel move up the rankings. 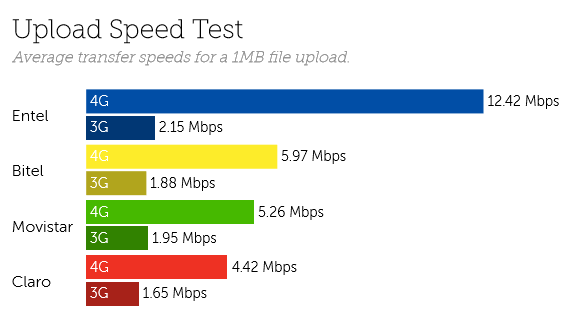 Entel also dominate upload speeds with average 4G results from September of 12.42 Mbps, more than double second place Bitel who average just 5.97 Mbps. Movistar, who have recently announced the launch of fibre-to-the-home (FTTH) services in the city of Chepen, in the northern La Libertad region place third, with Claro following closely in fourth place. With low results for both average jitter and packet loss, Bitel perform best for network stability across Peru. 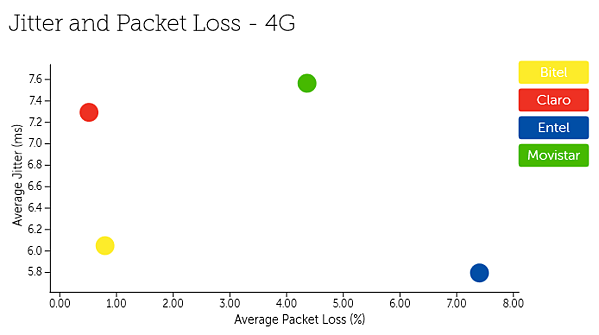 Entel recorded slightly better jitter, but are let down by their high packet loss. Alternatively Claro perform well for packet loss, but saw high records of jitter in September. Our findings for Peru are based on 9.94 billion network quality measurements including 807 thousand speed tests in September 2018. Our latest complimentary Mobile Experience Report is available to download from the Tutela Insights portal.